In just one week all eyes will be on Minsk-Arena as 20 countries head to the Belorussian city to battle it out for the Junior Eurovision 2018 trophy. It’s a record breaking year. 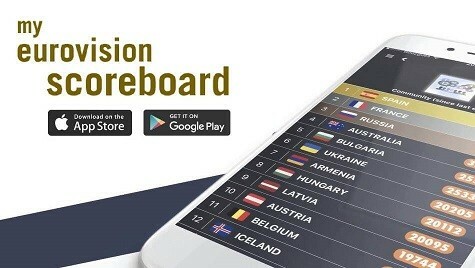 2018 sees the largest number of countries ever to compete at an edition of the contest. Kazakhstan and Wales both debut at the contest and will no doubt be wanting to make a big impact on their first outing. Azerbaijan, France and Israel all make a comeback to the contest following hiatuses of varying length. Each country will be aiming to show that the time away from the contest has been beneficial. Despite not hosting the contest following their victory last year, Russia will be hoping to become the first country in the contest’s history to win two years in a row. And across the 20 songs we’ll be hearing 18 different languages, making the show a true lingual feast. However, before the professional juries and viewing public cast their votes next Sunday 25th November, we want to hear from you. Who do you think deserves to take home the crown this year? You can listen to all 20 competing songs in the recap above, or check out the full songs in the playlist here. Then head to the poll below to cast your votes. You can vote for as many countries as you want, but you can only vote once. Finally, make sure to sound off in the comments below about who you’ll be voting for next weekend. Like last year, the online voting system means that anyone in the world, no matter if their country is competing or not, has the opportunity to vote for three to five of their favourites in the few days before the contest, and in a 15 minute period during the actual show following all the performances. If your country is competing you can even vote for yourself. Therefore, this poll may just be able to give us an indication of who the world will be voting for on the day, and who will walk away as a Junior Eurovision champion. Every vote counts! Daneliya tulyshova is by far the best singer. Is there any word on interval acts? L.e.v.o.n. from Armenia is the best! His style, song and spontaneity, confidence are unique! L.e.v.o.n. – you are the brightest and the best! Forward to the victory!!! Keep away your politics from JESC! Gosh! And Jewish reality? Dude, what are you smoking? This is tough. For now I’d say either France or Armenia. Am I the only one who thinks “IOU” sounds a bit like Polish song “Nie daj si?” by Doda :D? I am a big fan of Belarus. PiSS supporters still live in the 20th century so I don’t think they have the technology to vote. Voted for Kazakhstan and France, my two favourites to win! Umm… who is voting L.E.V.O.N multiple times? No way they are beating France, Kazakhstan, and Poland. Props for Ireland for being brave enough to be different and awkward, and for the best music video in the history of Junior Eurovision. Yet, I feel Macedonia should win. Providing that the girl can sing live and that the staging is not totally horrible. They have been sending good tunes, but “Doma” is their first credible attempt at a Junior Eurovision victory. Is it me, or many of these songs sound quite similar? the stand out for me is France, which gives me original Eurojunior realness. I miss the old days, when the contest was full of more playful songs. You’re right. France’s song is about friendship and not ‘love’ which certainly wasn’t on my mind when I was 12. Why are all the Scandinavian countries not participating, seeing they are so obsessed with Eurovision? They objected the format JESC has taken now, as they found it “too similar” to adult ESC. I’m glad you are covering some JESC. Although I wish it was more. I’m sad y’all don’t cover JESC as much as you used to. The less press give it attention to, the less it’ll survive. Y’all are an example of that. Because it’s rubbish, and very few people care. If this was the last one, it would make no difference to me. Also, why do you need to start every sentence with “Y’all”? They are all so cute, but my personal favorite songs are from Kazakhstan, Macedonia, Albania and Israel. Have you seen the rehearsals, Anna? Absolute R.I.P. to Portugal. I still think Kazakhstan and Ukraine will do well, and I’m happy Wales is after Armenia, it’s nice and calming. I think Serbia will be the last place this year as it’s extremely boring next to Ireland. Don’t write them off. Slovenia performed 3rd in 2015, and they got a podium spot. Same with Armenia in 2016. I’d say France Ukraine Kazakhstan and Georgia (the juries will eat this up) could all be winners, but I can see half of the counties winning actually. I don’t hear it myself. However, this could be due to the melody of both songs sounding alike, but not entirely. This melody usually to accompany the lyrics that tend to be written first by songwriters in many if not most cases in the process of songwriting. Any similarities with another unrelated song is likely to just be coincidental. This is probably why some fans had an issue with Malta’s song last year when they thought it sounds so much like Armenia’s from a few years back even though it may not have been the case. I have to favorite entries: Ukraine and Kazakhstan. I’m impressed by how serious Kazakhstan took their debut. Ireland might give us a surprise. You can see part of Macedonian performance on my YouTube channel, as well as other, just search up for Milan ESC. Macedonian backdrop in beggining is dark, almost black with few lights but in the chorus it lights up to blue background with snow falling from the top of stage, it is very cool! But still I doubt they will win, even though they deserve it! Am i the only one thinking people are overrating Kazakhstan’s entry a bit in the hope that they will be invited to the adult ESC if they win? Kazakhstan is my personal favorite. However, it is not the type of song that I would normally expect to be the pre-contest Youtube favorite like we’re seeing now, so maybe you’re on to something. I think Kazakhstan can win but if it does, I have a feeling it will not win either the jury vote or online vote, but could take advantage of vast differences between jury and online votes like Russia did last year and slide into 1st place. Hands down, Kazakhstan. Macedonia is a close 2nd. Great year, but Kazakhstan will win and France/ Ukraine will finish second and poland will follow because of the online voting. Can’t wait for Saturday, the stage also looks amazing. I’m torn between Kazakhstan and Poland but I really want Kazakhstan to win. Hopefully they can prove the EBU that they do take these competitions seriously and invite them for 2020 ESC. Honestly if Australia which is miles and miles further away from Europe can get a waiver , I see no reason why Kazakhstan can not.